Discussed Ordering a Focus RS This Week. The decision was already made. 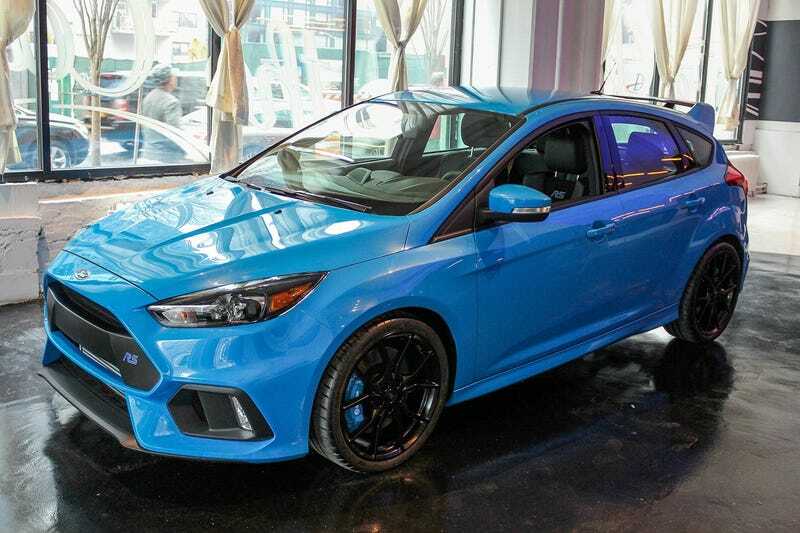 As soon as we saw the Focus RS was coming to America, my wife and I knew, this was it. Our first truly new car, it will be replacing our Mazdaspeed 3 which will be sent to track only duty (no, of course we aren’t getting rid of it). I stopped in at my local reputable Ford dealership Thursday (Fox Ford in GR, MI) and asked if they were able to take orders on the RS yet. Sadly, they said they cannot do anything for at least another 2-3 weeks, but hey - at least now I have a timeline. Now the question arises, which color should I order it in? Technically, this is going to primarily be my wife’s car, so she will have the final say, but I want opinions. Our top two pics are the above shown electric blue, and the ever classic black.